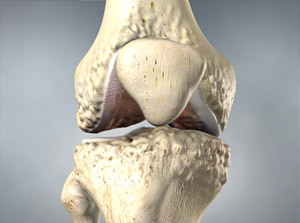 This condition occurs when the anterior cruciate ligament (ACL), the band of tissue that connects the femur to the tibia inside the knee joint, becomes torn or worn away, causing pain and instability of the knee. 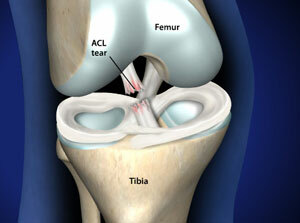 Within 24 hours, your knee will swell. If ignored, the swelling and pain may resolve on its own. However, if you attempt to return to sports, your knee will probably be unstable and you risk causing further damage to the cushioning cartilage (meniscus) of your knee. Dr. Keiser has patients from many different areas in and around Nebraska. Omaha, Beatrice, Bellevue, Columbus, Fremont, Grand Island, Hastings, Kearney, La Vista, Lexington, Lincoln, Norfolk, North Platte, Papillion, Scottsbluff, South Sioux City.